Name - The name of this corporation shall be the ARIZONA LIMOUSINE ASSOCIATION(ALA), a nonprofit corporation incorporated in the State of Arizona. Office - The principal office of the ALA shall be located at: P.O. Box 63993 Phoenix,Arizona 85082 until otherwise determined by the Board of Directors. Purpose - The purpose of the ALA shall be to provide a regional forum for the exchange of information and views by members; to provide a mechanism for the collection of information and inform members concerning matters of mutual interest and concern; to advance the interest of the industry and its members before the local and national regulatory authorities; to perform such duties as will benefit the ALA and its members, including unilateral access to the industry at large through association with the National Limousine Association. Is a limousine business that has control of one or more vehicles, meeting all applicable licensing and regulatory requirements, in which vehicles owned or operated by the Active Member are offered on a prearranged basis to the public for hire and travel over irregular routes. Are recommended for membership by the majority of the members composing the Membership Committee. Are accepted for membership, provided that they have been approved by the Membership Committee. Have paid their dues set by the Board of Directors. Each Active Member shall be entitled to one vote at meetings of the membership. Own or operate a trade or allied business in the State of Arizona, which provides products, merchandise or services related or necessary to, or reasonably required by, those owning or operating limousines businesses. Are recommended for membership by a majority of the members composing the Membership Committee. Are accepted for membership by vote of the Board of Directors of the ALA.
Pay any fees or dues established for that particular member by the Board of Directors. Allied Trade Members shall be entitled to attend all open meetings of the ALA, but shall have no right to vote. Allied Trade Members may serve on the Board of Directors in an advisory capacity, but hold no voting power therein. A company or individual, who does not own or operate a limousine business in the State of Arizona but supports the objectives of the ALA.
Have no voting privileges and have no right to hold an elected position. They otherwise have the same benefits of a regular Active Member. Suspension and/or Expulsion: Members may be suspended for not paying the current year's dues. Members may be expelled and/or suspended for cause by majority vote of those present at any meeting of the Board of Directors. The Board of Directors shall be the sole judge of sufficiency of such cause. In order for a member to be suspended for cause, the member must be advised of the reason for suspension and given an opportunity to defend him or herself prior to the suspension. If after thorough investigation it is proven that an ALA member has broken any applicable Federal, state or municipal regulations, his or her membership and its benefits can be suspended indefinitely. Reinstatement: Any former member who has resigned or has been suspended or expelled for nonpayment of dues and who desires to be reinstated with a continuous membership must make payment of all dues in arrears. However, a reinstated member must wait one year from the date of reinstatement before applying for nomination to the Board. If, however, a continuous membership record is not desired, such member may be reinstated, if qualified for membership, by paying the current year's dues. Any other former member may be reinstated by the Board of Directors at a time and upon such conditions as the Board of Directors may see fit. Amount and Due Date: Dues and the initiation fee, if any, for all classes of membership shall be established by the Board of Directors. All dues shall be paid within thirty (30) days of the start of the fiscal year. Delinquent Payment: Any of the ALA members who are delinquent in the payment of dues for a period of sixty (60) days shall be notified of such delinquency and advised that the member may be suspended at the end of ninety (90) days of the start of the fiscal year. During a period of suspension, a member shall not be entitled to any services of the ALA. Upon application the Board of Directors, at its sole discretion, may postpone the due date of dues of any member. Refund of Dues: No dues shall be refunded to any member whose membership terminates for any reason. Meetings and Membership; Quorum: The ALA shall meet no less than quarterly on such date and such time and place as shall be determined by the Board of Directors. The Board of Directors may call special meetings of the ALA on such dates and at such times and places as determined by the Board of Directors. Ten percent (10%) of the voting members of the ALA, must be present in person or by proxy, and shall constitute a quorum. A quorum is required for the transaction of business at any regular or special meeting. A majority vote of those present in person or by proxy at each regular or special meeting shall be necessary to take any action requiring a vote, unless otherwise specified herein. Notice of Membership Meetings: Notice of the date, time, place and purpose of any meeting of the members of the ALA shall be given in writing, by personal delivery, electronic mail, or by United States mail, addressed to each member of the ALA at the address on file with the Secretary not less than fourteen (14) days prior to the date fixed for such meeting. Action by Members Without a Meeting: Whenever members are required or permitted to take action by vote, such action may be taken without a meeting by written consent, setting forth the action so taken, signed by 'a majority of the members entitled to vote there on. Returned, tallied and published results will go to the Board. Voting by Active Members; Registration: At any such meeting, each Active Member of the ALA whose dues are fully paid for the current fiscal year, and who is properly registered, shall be entitled to one vote, either in person or by proxy. Registration shall be in such a manner as may be prescribed from time to time by the Board of Directors, and all proxies to be voted must be filed with the ALA office prior to the commencement of the meeting in such form as the Board of Directors shall determine. Authority and Responsibility: The Board of Directors shall have the supervision, control and direction of the affairs of the Association, shall determine its policies or changes therein within the limits of the Bylaws, shall actively prosecute its objectives and shall have discretion in the disbursement of its funds. It may adopt such rules and regulations for the conduct of its business as shall be deemed advisable, and may, in the execution of the powers granted, appoint such as it may consider necessary. Composition: The Board of Directors will consist of up to twelve (12) Members whose term will be for one year. There shall be no more than nine (9) Active Board Members determined through elections, with up to three (3) Allied Trade Members eligible to assume positions. Restrictions of Directors: Any Regular Active Member sharing common ownership with another Regular Active Member can only have one representative on the ALA Board of Directors at one time. be a member in good standing for a minimum of one continuous year prior to date of ballot. be current on membership dues by no later than January 31 of the year of ballot. submit written notice (US Mail or electronic mail) of candidacy to President and Secretary of current board no less than seven (7) days prior to ballot in order to be included therein. 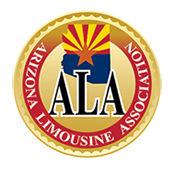 Current addresses may be obtained on the ALA website: www.azlimousineassociation.org. be present at time of vote in order to affirm candidacy on ballot. Election of Officers: The election of officers will take place at the initial meeting of the newly elected Board of Directors. The positions to be filled will be for one term — or until the next annual meeting — or until elected: President, Vice President, Treasurer, and Secretary. Succession of Officers: In the event the President shall be unable or unwilling to serve in the office to which he/she has been elected, the person holding the position of Vice President will assume the position and duties of the Presidency for the remainder of the year. The person holding the position of Secretary will become the Vice President. The Board will vote to replace the position of Secretary at the next meeting of the Board of Directors. In the event the Vice President shall be unable or unwilling to serve in the office to which he/she has been elected, the procedure described above will apply. In the event the Treasurer shall be unable or unwilling to serve in the office to which he/she has been elected, the Board of Directors shall vote to replace the position of Treasurer at the next meeting of the Board of Directors. Replacement of Directors: In the event that any person shall become unable or unwilling to serve in the office to which he/she has been elected, the ALA Board of Directors may offer the position for general election at the next scheduled ALA meeting. That candidate may serve the balance of the outgoing director's term of office. In the event that there are no candidates from eligible for or willing to accept nomination for election as a director, then this seat shall remain unfilled until the next election. In the event that any Allied Trade Member shall become unable or unwilling to serve in the office to which he/she was elected by the ALA Board of Directors, the Board of Directors may hold an election within thirty (30) days of the notice by means of facsimile or electronic mail vote to choose a replacement from among the remaining candidates previously inclined to serve at the time of the most recent Allied Trade Member election. Failure to Attend Meetings: Any elected director who fails to attend two (2) regular meetings during his/her tenure due to unexcused absence may be removed from such office by a majority vote of the directors present at any meeting of the Board of Directors. Meetings: One regular meeting of the Board of Directors shall be held immediately before, after or during the annual meeting of members of the ALA, and a minimum of three (3) shall be held during each year at a time and place fixed by the Board of Directors. The President must notify the Board of Directors of the meeting date at least thirty (30) days prior to the meeting. Agenda items for all Board of Directors meetings must be submitted to the President, by any Director, no later than ten (10) days prior to the date of a meeting and said agenda should be distributed to Board members at least seven (7) days prior to any meeting. Special meetings of the Board of Directors may be called at any time by the President or any five (5) directors. Legal counsel may be present at all meetings of the Board if so ordered. Seven (7) days written notice by mail of the time and place of the holding of any regular or special meeting of the Board of Directors shall be given to each director. Any meeting of the Board of Directors may be adjourned to the same or another place or time without further notice to all directors. All meetings of the Board of Directors shall be conducted in accordance with ROBERT'S RULES OF ORDER, Revised, when not in conflict with these Bylaws. At all meetings of the Board, the President or in his absence, the Vice President and if neither is present a chairman will be chosen by the Board and shall preside. Quorum: A majority of Directors shall constitute a quorum, which is required for the transaction of all business, except that a lesser number may adjourn any meeting to another time or place or may fill a vacancy in accordance with Article 5, Section F. Except as otherwise provided in these Bylaws or by state or Federal law, a majority of a quorum of directors present shall have the power to act. Removal of Directors: Any or all of the directors may be removed for cause by a vote of the members or by action of the Board. Directors may be removed without cause only by Majority vote of the remaining board members. Resignation: A director may resign at any time by giving written notice to the Board, the President or the Secretary of the ALA. Unless otherwise specified in the notice, the resignation shall take effect upon receipt thereof by the Board of such officer, and the acceptance of the resignation shall not be necessary to make it effective. Committees: The Board of Directors may undertake at any time, a vote to establish committees with respect to the business of operation of the ALA. Such committees may be approved by simple majority vote of the Board. In the absence of a Quorum, the President may appoint committees subject to ratification at the next scheduled meeting of the Board of Directors. Action by Directors Without a Meeting: Whenever directors are required or permitted to take action by vote, such action may be taken without a meeting by written consent, setting forth the action so taken, signed by all the directors entitled to vote thereon and returned to, tallied and published by the Secretary. President: The President shall be the principal executive officer of the ALA. The President shall preside at all meetings of the ALA and the Board of Directors. The President shall also serve as a member, ex-officio, of all committees. The President shall appoint or remove all members of each committee, appointees and its chairman. Finally, the President shall be responsible for the general management of the affairs of the ALA and shall see that all orders and resolutions of the Board are carried into effect. Vice President: The First Vice President shall perform the duties of the President in the event of the President's inability to serve. Treasurer: The Treasurer shall be the financial officer of the ALA. The treasurer shall serve on any budget or finance committee which may be instituted by the President or the Board of Directors, and shall report to the Board of Directors at all regular meetings and to the members at their annual meeting concerning the finances of the ALA.
Secretary: The Secretary shall attend all meetings of the members and the Board of Directors. The Secretary is also the keeper of the seal and upon instruction by either the President or the Board of Directors be authorized to use same. Fiscal Year: The fiscal year of the ALA shall be prescribed by the Board of Directors. Budget: The Board of Directors shall adopt in advance of the next fiscal year an annual operating budget covering all activities of the ALA.
Financial Reports: The Treasurer shall furnish to the Board of Directors, at the annual yearly meeting of the Board of Directors, a financial report of the ALA for the preceding calendar year, and at each meeting a financial update of the financial condition of the ALA. Audit of Accounts: The accounts of the ALA may be audited at any time by a certified public accountant who shall be appointed by the Board of Directors and who shall provide a report to the Board of Directors and be supervised by the President. Nothing contained herein shall constitute members of the ALA as partners for any purpose. No member, agent or employee of this Association shall be liable for the acts or failure to act on behalf of any other member, officer, agent or employee of the ALA. Nor shall any member, officer, agent or employee be liable for his acts or failure to act under these Bylaws, excepting only acts or omission to act arising out of his willful malfeasance. If there be any conflict between the provisions of the Articles of Incorporation and these Bylaws, the provisions of the Articles of Incorporation govern. The ALA shall use its funds to accomplish the objectives and purposes set forth in these Bylaws, and, upon the final dissolution of the ALA, no part of said funds shall insure or be distributed to members of the ALA. On such dissolution, the funds of the ALA may be paid over to a successor created by the reorganization of the ALA, or if there be no such successor, to one or more legally organized charitable organizations to be selected by the Board of Directors. The Bylaws of the ALA may be amended by the Board of Directors at any meeting. Voting can only take place when there is a quorum of the voting Board members as defined in these Bylaws.